Gaming videos have become a worldwide rage all over the Internet, and they are here to stay. If you want to be a successful YouTuber/Twitcher, showcasing your gameplays or tutorials is a surefire claim to fame. After all, some of the world’s top YouTubers are gamers. But, they all have access to some of the best video editing software for gaming that brings the best out of their gameplays in terms of intrinsic details and video quality. The Best Video Editing Software for Gaming in 2018 that are FREE! A very powerful open-source software, Blender is renowned for its formidable creation of 3D modeling and animation. You can easily place clips of your gameplays on a timeline, snip them or overlap with other videos. Not to mention, there is a barrage of transitions and fade effects that can all come in handy for your gameplays. You would be delighted to know that Blender is a non-linear video editor which allows users to easily go back and forth through their edits and revert changes. That’s a must when you are snipping away at extensive and exhausting gameplays. Of course, there is an advanced set of features in the offing too such as 2D and 3D motion tracking, and nifty camera correction that deals with image stabilisation and lens calibration. Fans of compositing animated objects and real footage won’t be disappointed either. Moreover, should you bump into any problems in your gaming video editing sojourn, you can troubleshoot them by posting on Blender’s bustling user forums. 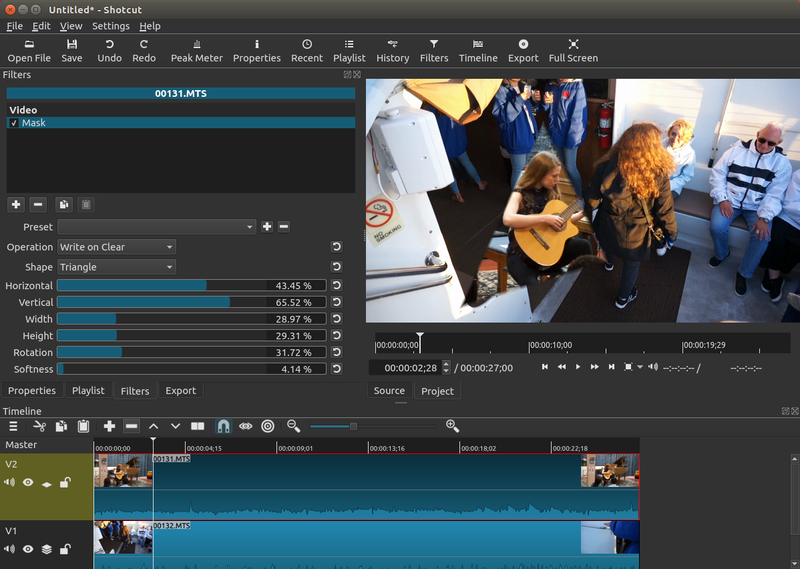 Shotcut has been designed on the lines of a prosumer-level video editing suite that boasts all the features which define a nifty video editor. If you want to export your gaming videos in 4K, you are well set! In fact, with a sleek and highly customizable user interface, it surely keeps both beginner as well as advanced users hooked onto the screen. Part of the credit for its intuitive UI goes to multiple dockable and undockable panels. Not to mention, this free gaming video editor supports hundreds of audio/video formats and codecs. One of the highlights of Shotcut is that it allows you to craft your videos with robust video filters such as colour grading, chroma key, diffusion, etc. You can even make use of track compositing/blending modes such as HSL Hue, HSL Saturation, Difference, Exclusion, Overlay, etc. Furthermore, audiophiles looking to get that sonic boost can make use of tone generator and audio filters including the likes of Delay, Downmix, Reverb, Pan, Hard Pass, et al. All in all, it can definitely be claimed that Shotcut is one of the best video editing software for gaming. A very renowned software suite, Avid Media Composer’s premium version is an industry standard in Hollywood for editing blockbuster feature films and TV shows. That doesn’t mean the free variant is a pushover though. 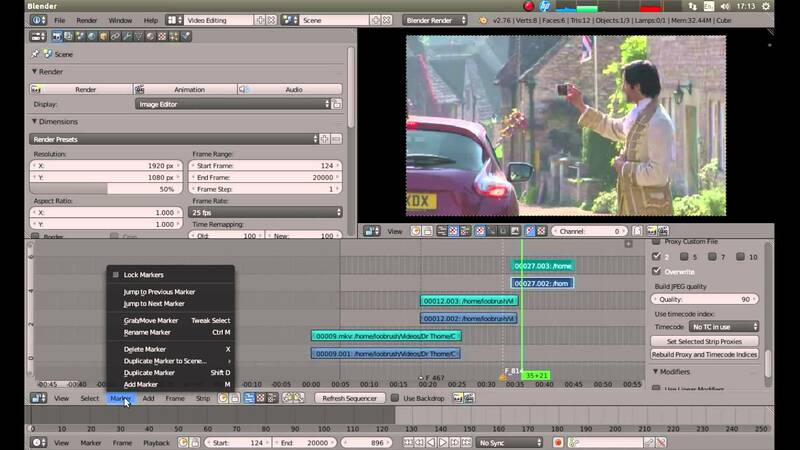 In fact, Avid Media Composer(free) proffers nearly all the same professional features as its famous Hollywood cousin. Its USP lies in having a ton of video effects, add-ons, and a smart trim tool that can deliver ultra precise cuts in a jiffy for making your gameplays more enjoyable. However, one downside is that you cannot render videos that are of higher-quality than 1080p HD, but it is still enough for most users, isn’t it? Also, the UI could be a tad complex for first time users who are learning the tricks of the trade. That being said, if you want to lay down voice-overs in your gameplays, Avid Media Composer comes in quite handy. If your sole intention for editing your gameplays is uploading videos of them on YouTube, then Lightworks is highly recommended. 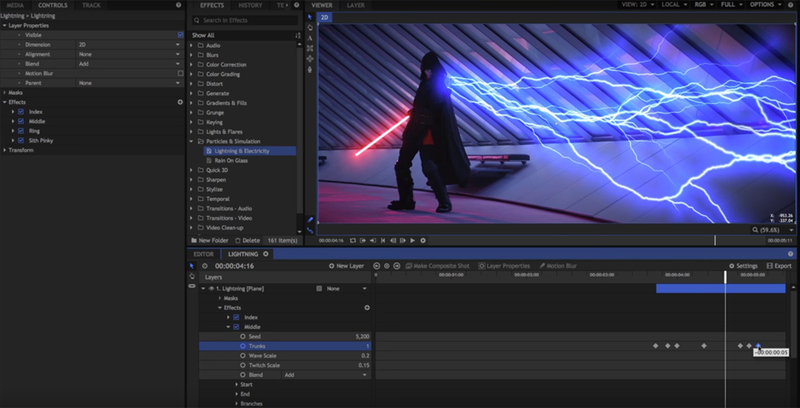 Not that others are not as good, but Lightworks is on a whole new level of video editing especially if you want to create professional gameplay tutorials. It supports all video resolutions up to 4K and proffers non-linear video editing, which is a plus for basic users learning the nuances of video editing. Not to mention, it works equally well with videos in both HD and SD formats. 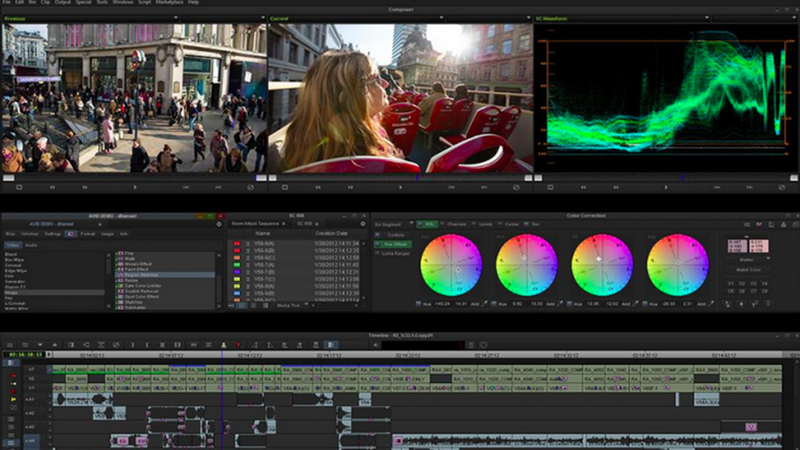 What’s more, Lightworks boasts great features such as titling, multi-cam editing, and a range of over 100 video effects available on its timeline. In fact, you can also make use of stock audio to create polished gameplays with customized background music. 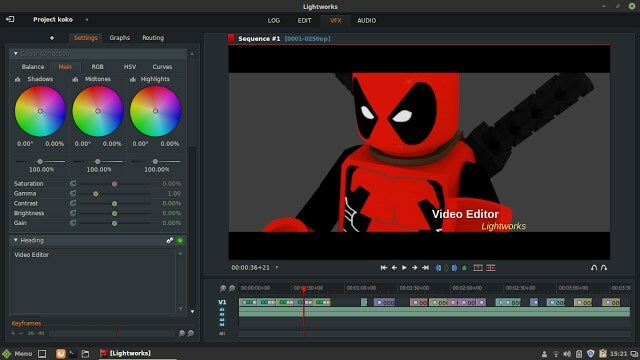 All in all, Lightworks is a strong contender on our list of the best video editing software for gaming insofar as customizability and support for various platforms is concerned. 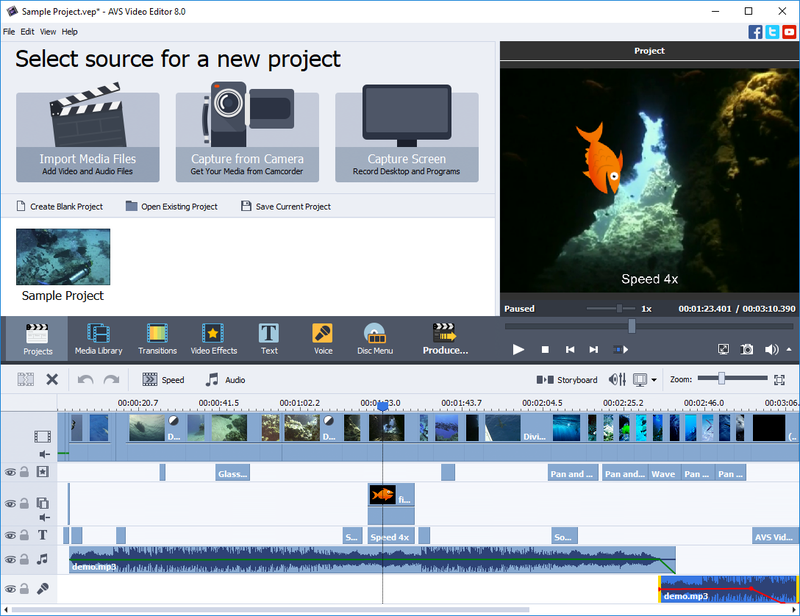 Although it functions on the lines of a screen recorder, AVS Video Editor is quite advanced as it allows gamers to overlay audio effects over their pre-recorded videos. It can render videos easily in popular file formats such as AVI, WMV, MKV, FLV, etc. In fact, the slick conversion tools on this platform make editing extensive gameplays a cinch for beginners. Moreover, users can employ a gamut of video filters, colour correction tools and special effects to bring out the intricate details in their gameplay tutorials and make them more entertaining. All in all, propelled by a modern and smooth user interface, generating game montages in 4K and HD should be an enjoyable process for both beginners as well as advanced users. Ah! What would a list of the best video editing software for gaming without mentioning Windows Media Player, the archetypal video editor? Apart from being very easy to use, it lets you directly post your videos to social media sites such as Facebook and YouTube. Which is why, Windows Movie Maker is the first choice for many budding YouTubers. 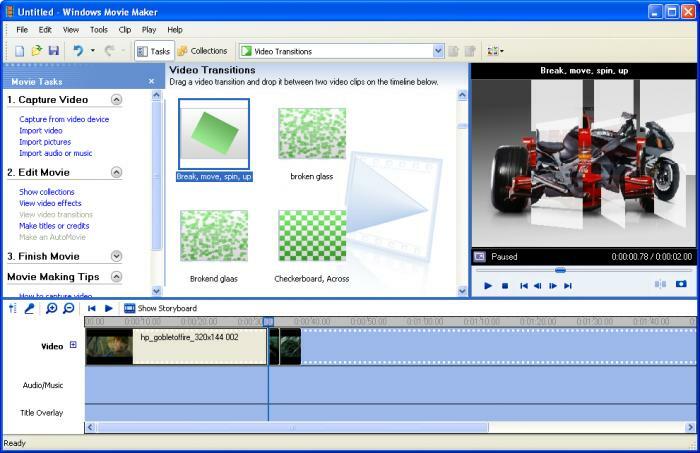 On the features front, this trademark Windows software is filled with various effects, transitions, and titles, which help users customize their gameplay videos. However, advanced or intermediate users might be put off by its lack of diversity in features as Windows Movie Maker comes across as pretty basic. Nevertheless, it is still a good stepping stone for budding video editing enthusiasts who want to trim down their game montages. 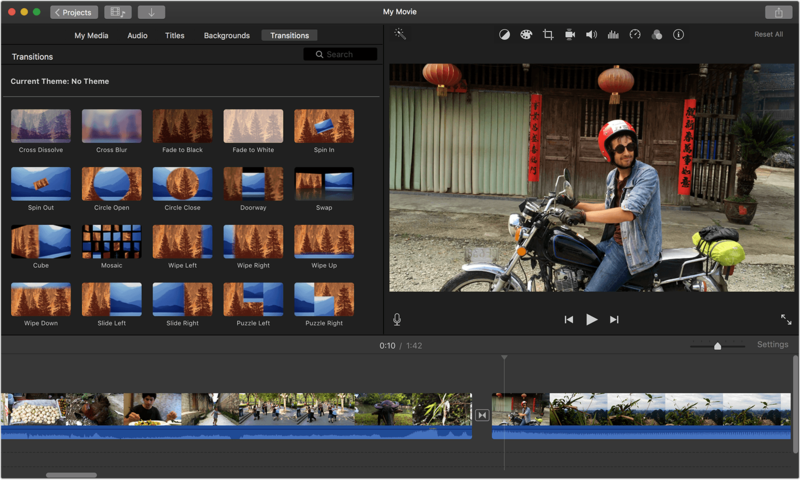 iMovie comes exclusively bundled in Mac and is a great free video editing software for gamers who like to edit their gaming exploits on a Mac. It proffers some basic to intermediate level of editing prowess if you want to add effects, soundtracks or insert titles into your gameplays. What’s more, beginner users will be drawn in to its very simplistic and friendly user interface. In fact, you can also share your game montages directly to YouTube. Some of its highlights include one step effects, audio editing, and movie trailers. However, iMovie doesn’t import MP4 file formats. This one has been around for some time in the video editing realm and is a surefire no brainer for gamers who want to upload their gameplay action on YouTube. 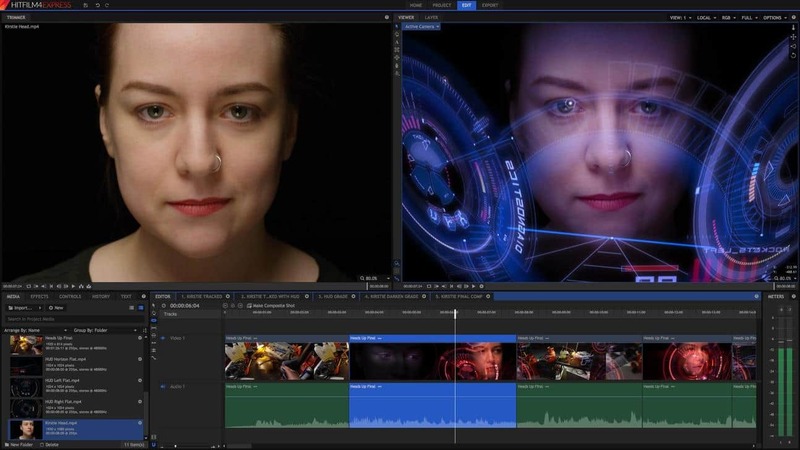 Hitfilm Express leans more towards special effects and boasts 3D and 2D compositing credentials, and green screen removal tools. What’s more, users can also avail features such as automatic motion-tracking in the free version. If you just started your YouTube channel for uploading game montages, Hitfilm Express should be well on your radar. There’s one slight glitch though, Hitfilm is a tad difficult to learn so you might have to watch tutorials first. VSDC is a powerhouse of video effects and is consistently counted amongst some of the best video editing software for professional gaming. Why? To start with, the range of output formats it offers is mind bending and there are presets for Xbox, Playstation, PC, DVD, iPod, smartphones too! In fact, you can output videos to VCD, AVI, DVD and MPG. Coming onto the gameplay edits, your clips can be trimmed into smaller bits and moved around; you can make adjustments to attributes such as hue, saturation, brightness, contrast, or flip, rotate and skip objects. You can also make use of some nifty features such as picture-in-picture, overlay lines, ellipses, rectangles, or add speech bubbles with text. Not to mention, a whole series of audio effects. However, of all the programs on our list of the best video editing software for gaming, VSDC is the hardest one to use and could be initially confusing for most users. After all, it packs a ton of features such as transitions, fire, plasma and water effects. 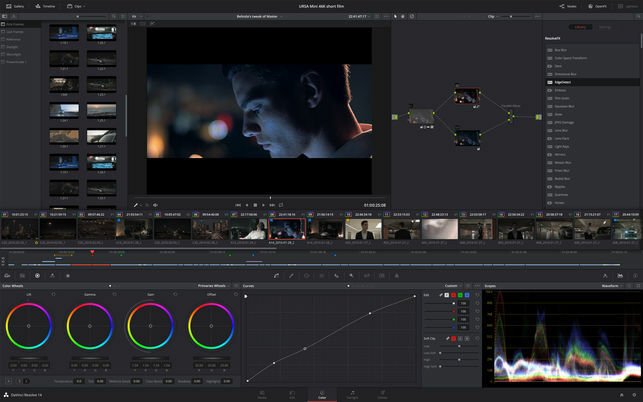 Rounding off our list of the best video editing software for gaming is the behemoth called DaVinci Resolve which is extensively used for colour correction in Hollywood flicks because of its sheer power. The freeware or Lite variant of DaVinci Resolve too doesn’t fail to pack a punch or two when it comes to features that all the big boys of the video editing realm have. Yes, it also comes with colour correction credentials. If you want to render your game montages in SD, HD or Ultra HD video quality, DaVinci Resolve can do it in a jiffy. Also, it can work with external hardware panels for faster editing. However, beginners might face a steep learning curve because of its complex UI, but hey you can’t pick up something in the afternoon and end up with a masterpiece at night, right? And…that’s a wrap! 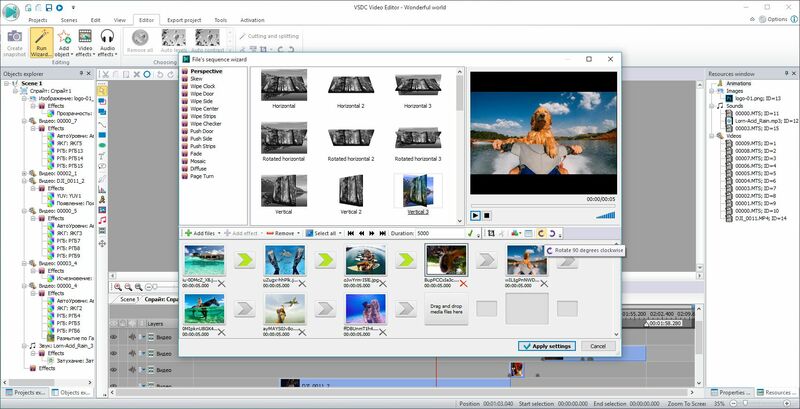 So, did you like our roundup of the best video editing software for gaming? Did we miss out on any good editing software that you know of? Sound off in the comments.